Chicago-Kent’s Christian Legal Society chapter participated in this year’s Holiday Fest. 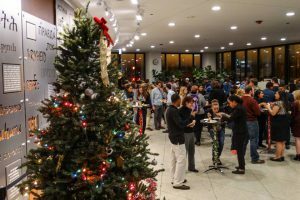 The table included a variety of Christmas treats such as candy canes, eggnog, and Christmas themed cookies. Although not in the picture below, we later set up a miniature Nativity Scene. Thanks to all those who helped! 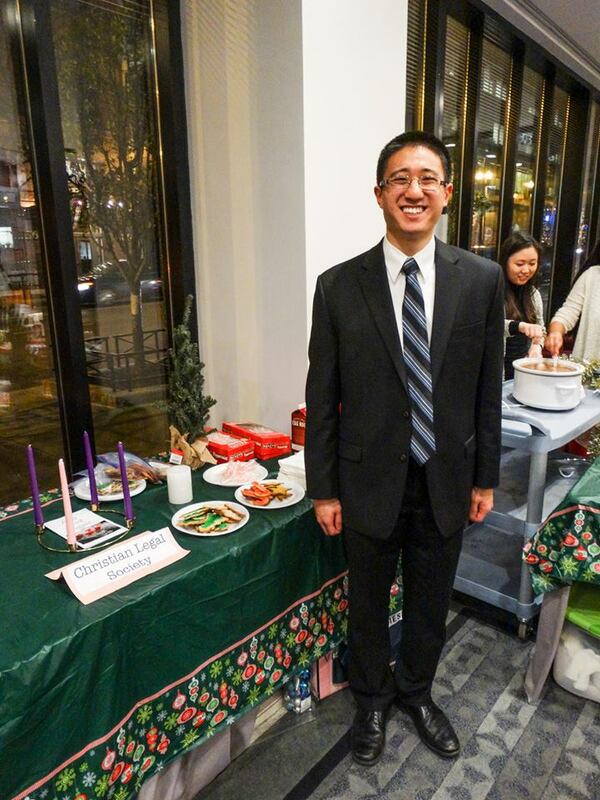 Christopher Kim, Chapter President, at the Christian Legal Society table at Holiday Fest 2016. Students socializing at Holiday Fest.